The club played friendly matches between 1887 and 1896. It first entered the F.A. Amateur Cup in 1894 and the F.A. Cup in 1895. 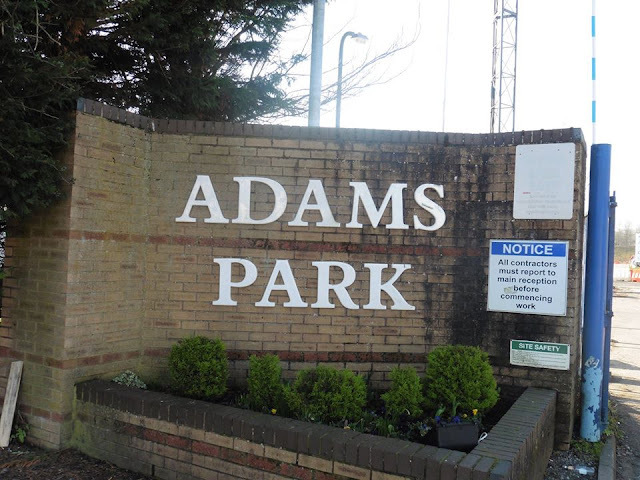 In 1895 the club moved to Loakes Park, which would become its home for the next 95 years. 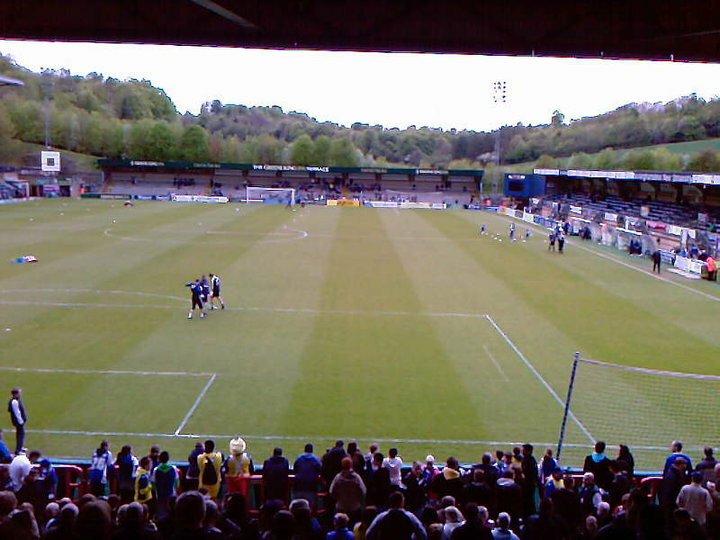 In 1896 the club joined the Southern League and competed in the Second Division until 1908. In the summer of 1908 the club declined the invitation to retain their membership of the Southern League. 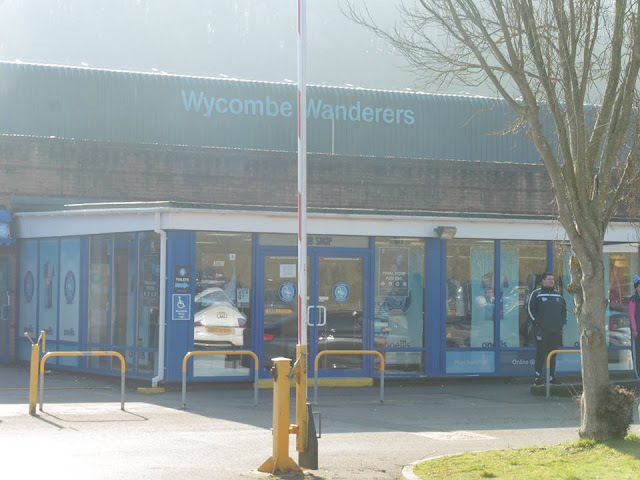 The club decided to pursue amateur instead of professional football and joined the Great Western Suburban League and remained there until the outbreak of the First World War. After the hostilities had ended the club joined the Spartan League in 1919 and were Champions in successive years. In March 1921 the club's application to join the Isthmian League was accepted. 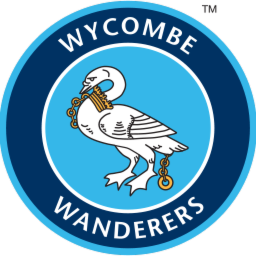 In April 1931, One of the club's greatest achievements came when Wycombe won the FA Amateur Cup when they beat Hayes FC 1-0 at Arsenal's Highbury Stadium. The club also reached the first round proper of the FA Cup for the first time in November 1932, losing to Gillingham in a replay at Loakes Park. In 1952, the club appointed Sid Cann as manager and he led the Wanderers to their first Isthmian League title in 1956. The second round proper of the FA Cup was reached in December 1959 when the club was defeated 5–1 by Watford at Vicarage Road. 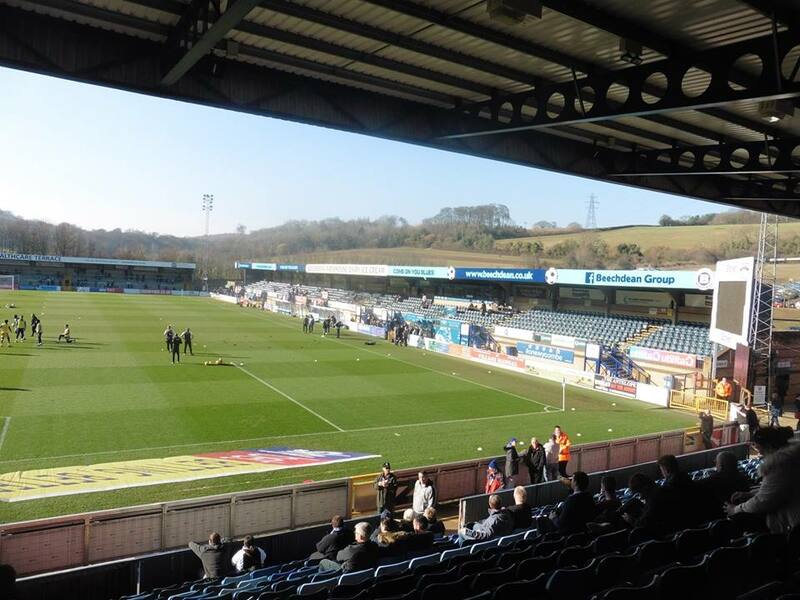 The stars of the team included winger Len Worley and striker Paul Bates. A fifth Isthmian League title was won in 1974 and the following season it was defended yet again, this time by the narrowest of margins, a superior goal difference of 0–1 to Enfield. In the same season the club created history by reaching the third round proper of the FA Cup for the first time, losing 1–0 to First Division Middlesbrough in a replay at Ayresome Park having drawn 0–0 at Loakes Park. In 1989, The club consolidated their place in the newly named GM Vauxhall Conference and under manager Jim Kelman they finished in 4th place. The club appointed Martin O'Neill as his successor and he went on to lead the Wanderers to unprecedented success. 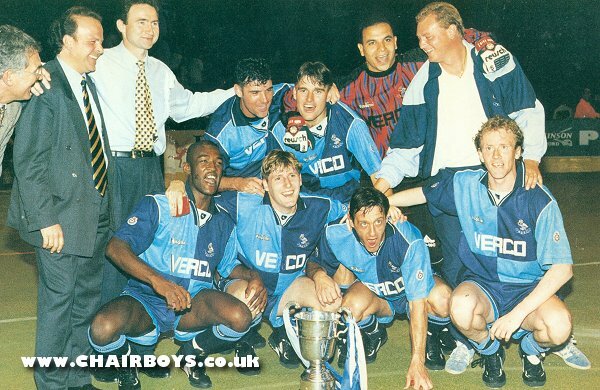 The club moved to its new Adams Park home in 1990 and it was marked by a glorious return to Wembley. The Blues defeated Kidderminster Harriers 2–1 in the final of the F.A. 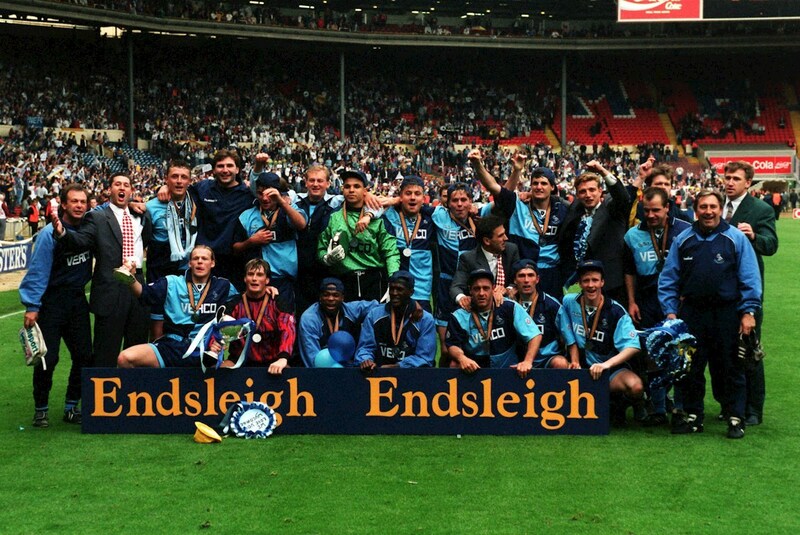 Trophy in May 1991 in front of a then-record crowd. 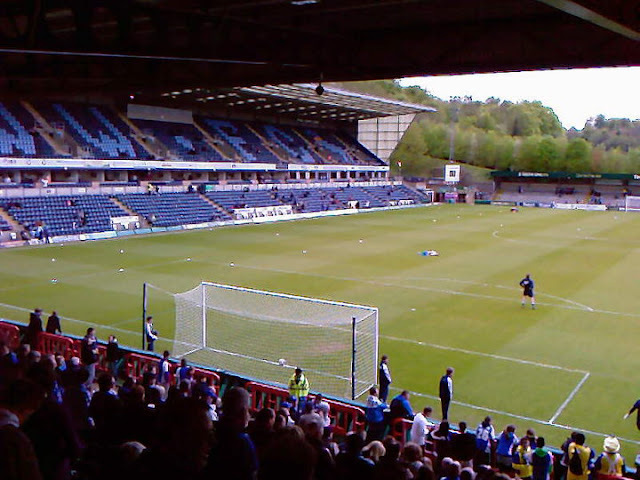 The following season ended in bitter disappointment after finishing second to Colchester United on goal difference with both clubs level on 94 points, consequently missing out on promotion to the Football League. Former Crystal Palace manager Alan Smith was appointed taking over from Martin O'Nell but he failed to win over either the players or the supporters and was sacked in September 1996. 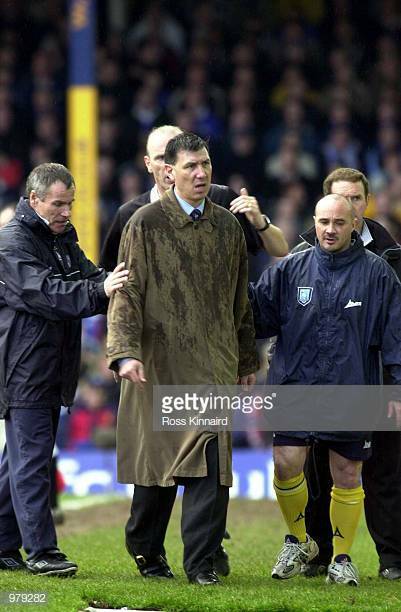 John Gregory took over the hot-seat and steered the club to safety on the penultimate weekend of the 1996/97 season. He left to manage Aston Villa in February 1998 and youth team boss Neil Smillie was given the job. A fairytale season followed in 2000–01 as the club reached the semi-finals of the FA Cup. 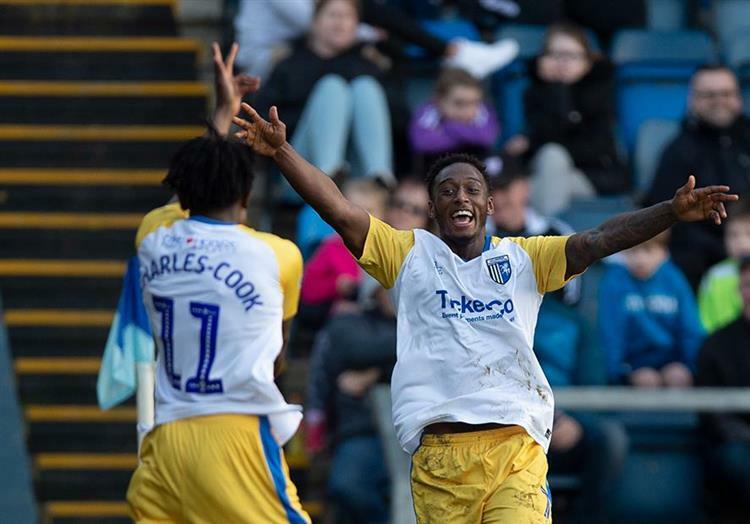 First Division sides Grimsby Town, Wolverhampton Wanderers and Wimbledon were all beaten before a memorable quarter-final with Premier League Leicester City. 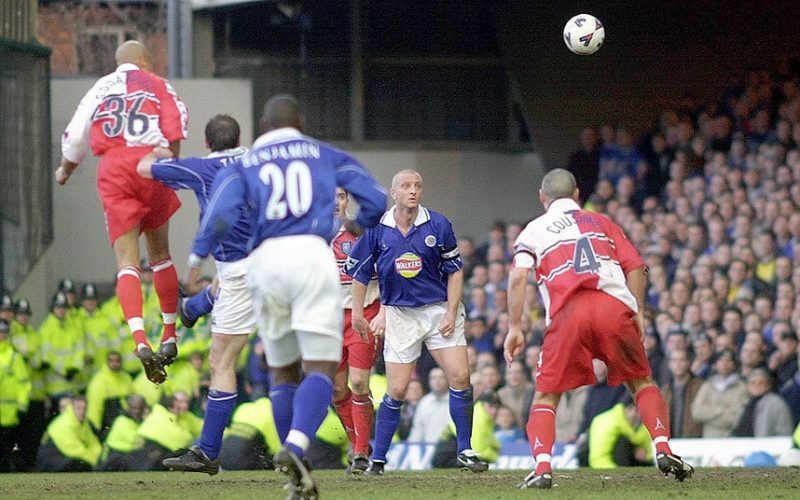 Striker Roy Essandoh headed an injury-time winner to seal a 2–1 win at Filbert Street. 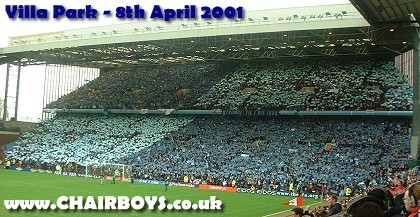 The semi-final at Villa Park saw Liverpool pushed all the way before claiming a 2–1 victory. 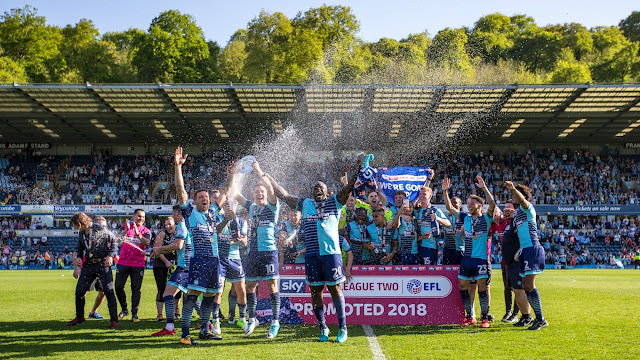 The 2017–18 season was one better than the 2014–15 season: Exeter and Notts County both losing respectively combined with Wycombe winning their penultimate game of the season ensured promotion to EFL League One, joining Luton Town and EFL League Two champions Accrington Stanley. 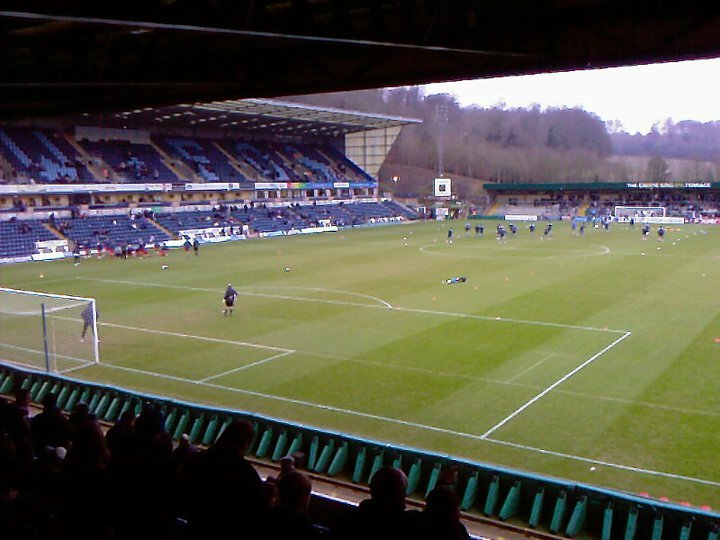 My 1st visit to Adams Park came in 2010. It would turn out to be a horrible day as it came down to the last game of the season to determine whether Gillingham would be staying up or relegation to League Two. 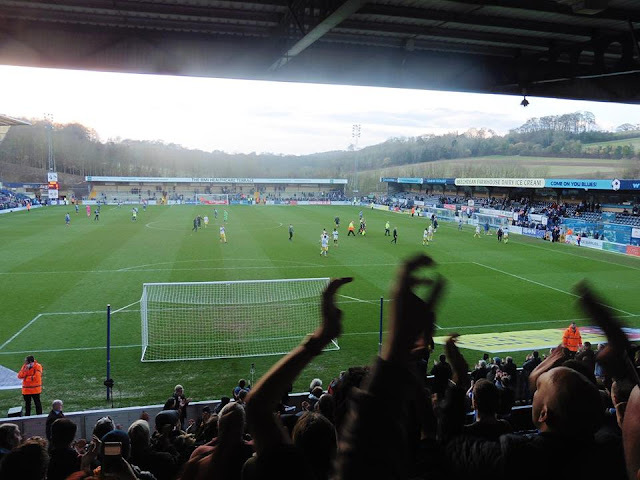 A point would have been enough, sadly it would prove not to be the case as Wycombe picked up the 3 points with a 3-0 win and other results going against us meant relegation to League Two which in the end probably was deserved. 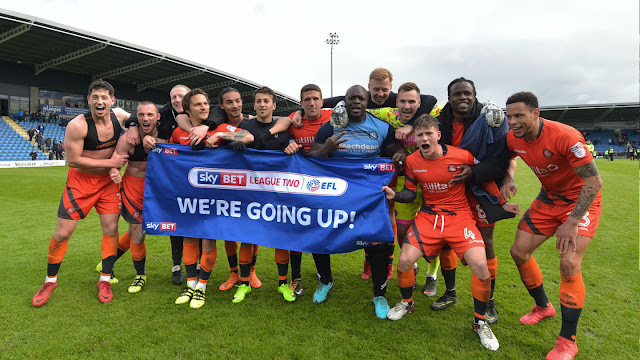 Gillingham had gone a whole season away from home without winning a game and in the end saw us get relegated. A further 2 visits saw Wycombe win once again with a 1-0 win in 2011 and a 1st time win for me at Adams Park a year later in 2012 which saw Joe Martin's tap in after we hit the post in the season we became League Two Champions to come away with 3 points. It was back to away days with Gillingham once again this Saturday and it was one I was looking forward to. 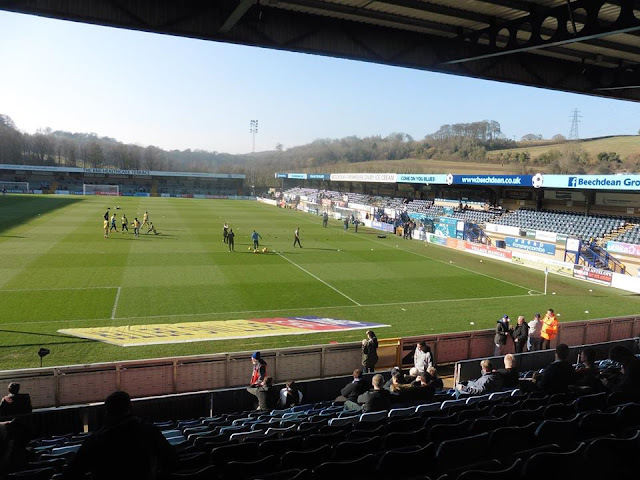 I hadn't been to Adams Park since 2012, so it was to do some updating on the blog as I felt it could do with a bit of updating and some pictures needed to be done as previously visiting Wycombe, photos were taken on my phone and weren't the best of quality. This time round, I had my digital camera, so I could get some decent snaps. Another reason why I was looking forward to this one was it was a battle between the Groundhoppers. 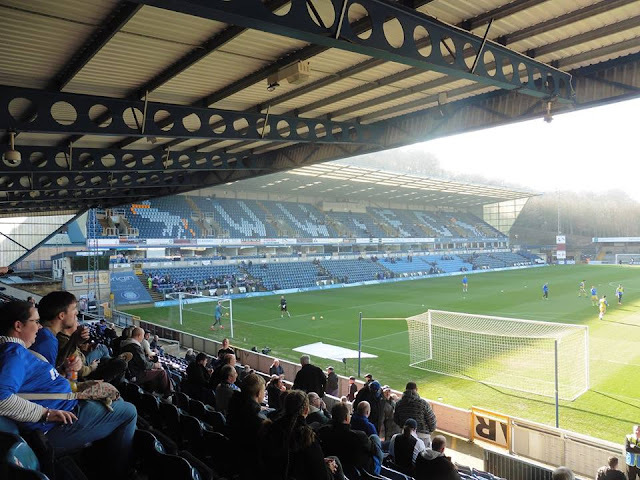 I originally started writing blogs on here as another Groundhopper's blog I've always enjoyed reading, Wycombe fan Russ, so would be interesting on what happens on the day. 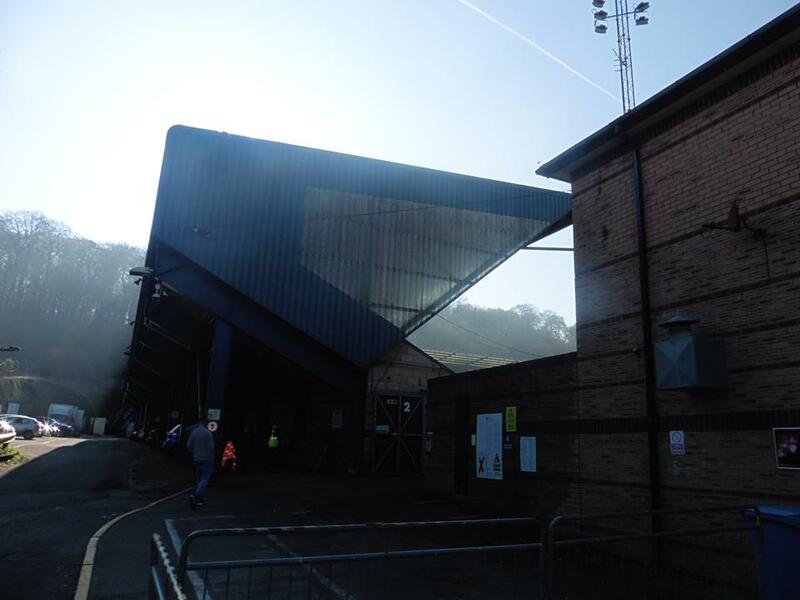 The day came and I left home after 9am, and nipped into Tonbridge to put some bets on. Luckily it proved to be a better day as £26 was to be the winnings. Although it may sound not a lot, but any profit is better than nothing! 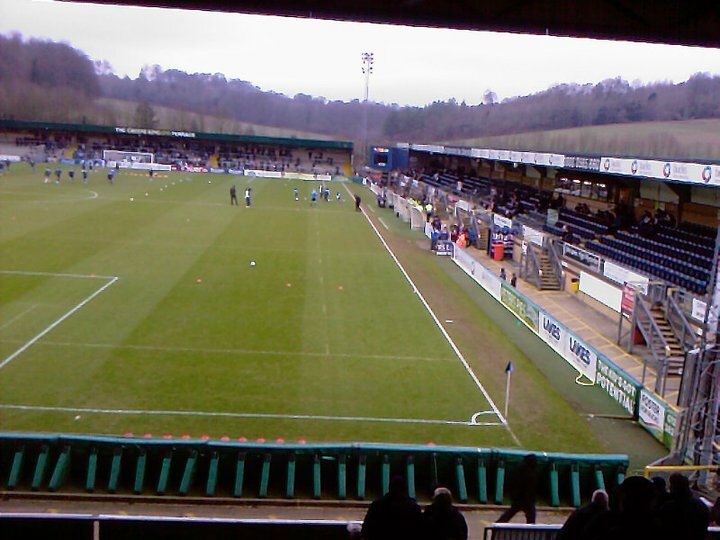 So after leaving Tonbridge after 10ish, I arrived into Strood just before 11, where I met my good mate Nick another fellow Gills fan who was driving to Wycombe, and his mate from college Sam. The journey wasn't too bad, although we hit some traffic on the M25 due to a crash but luckily we wasn't in any traffic for too long and we was on our way. 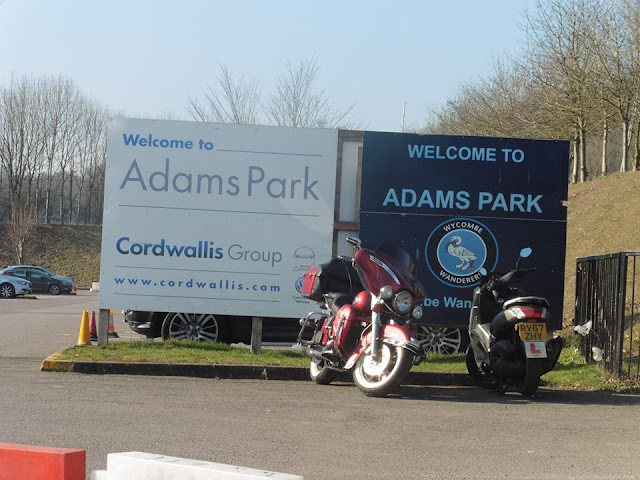 We arrived at the ground just before 1 and parked in a little road at the industrial estate where of course the ground is. Car parking where we parked was £5, I could tell Nick was worried his car may get clamped but luckily it wasn't to be and it all turned out to be ok! After killing a bit of time and grabbing a burger outside the ground and getting a programme, we made our way into the ground just after 2pm. The game itself proved to be not a classic by all means. 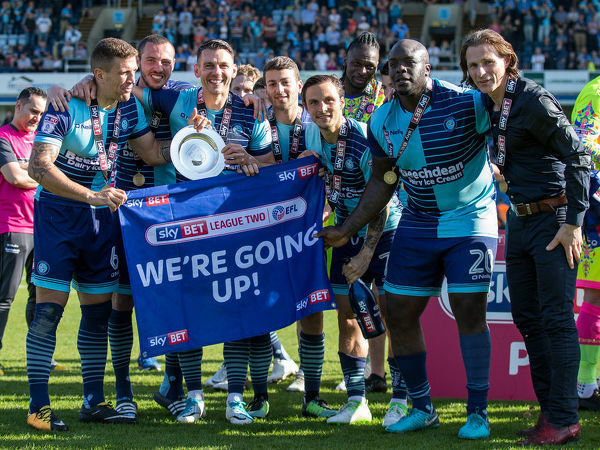 Both sides looked they were playing for a draw, as Wycombe mostly lobbed balls forward to Adebayo Akinfenwa, of course no stranger to Gills fans having played for the club between 2010-11 and 2013-14. We were lobbing balls forward to Tom Eaves, who is known for "You're just a s*it Andy Carroll" sung by opposition fans in the past and even by us haha. So of course, it wasn't a classic. The last 10 minutes proved to be vital as Brandon Hanlan winning the ball and crossing the ball in the box for Regan Charles-Cook to chest in the winner on 82 minutes and see the game home with 3 superb points. Wycombe did have chances themselves with a double save from our keeper Tomas Holy earlier on. 3 points and a nice win on the bets proved to be a good day. 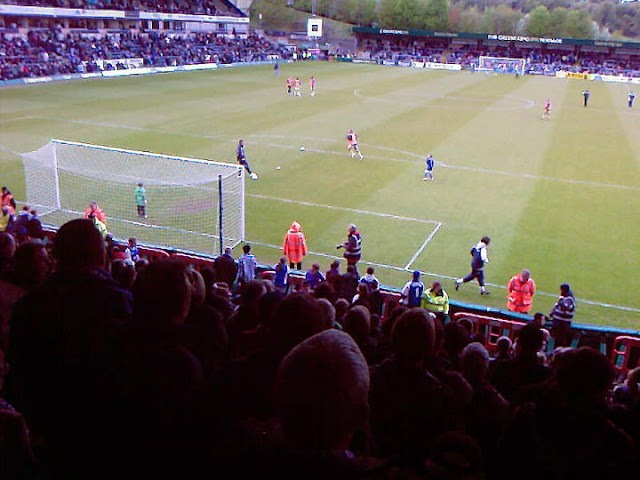 We left the ground around 5.30 with only 1 way out of the ground, we let the crowd die down and we were soon back in Kent. After getting dropped off in Maidstone, I was home just before 8pm. Wycombe Wanderers have been playing at Adams Park since 1990 after previously playing at Loakes Park. 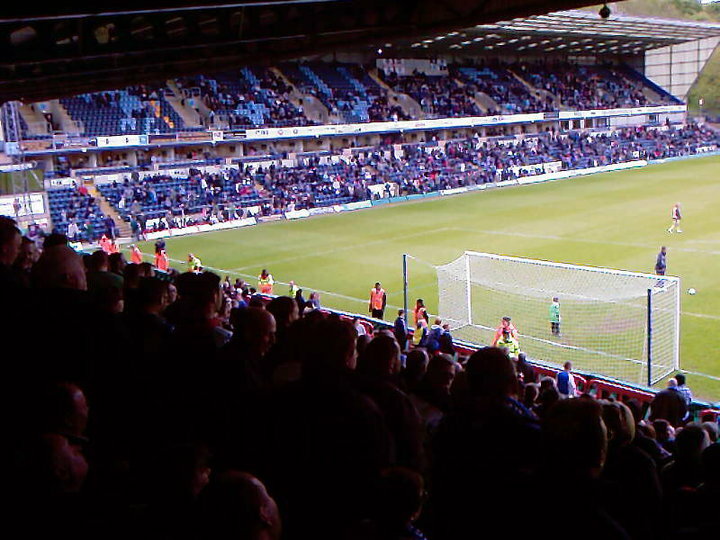 It is also home to Reading FC's women's side. 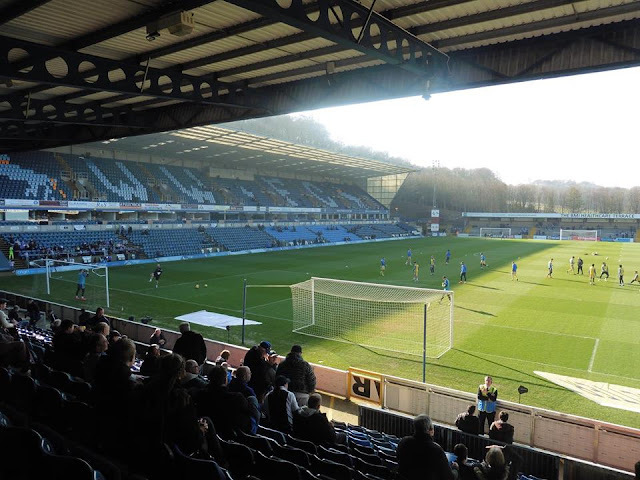 Adams Park has a total capacity of 10,137 with the away supporters located in the Dreams Stand which is behind one goal. 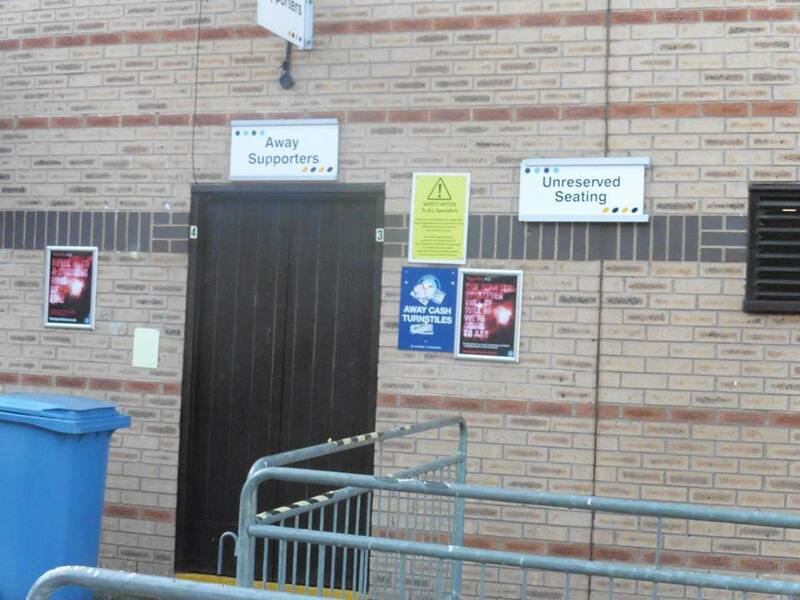 It can be allocated up to 2,000 supporters depending on demand. 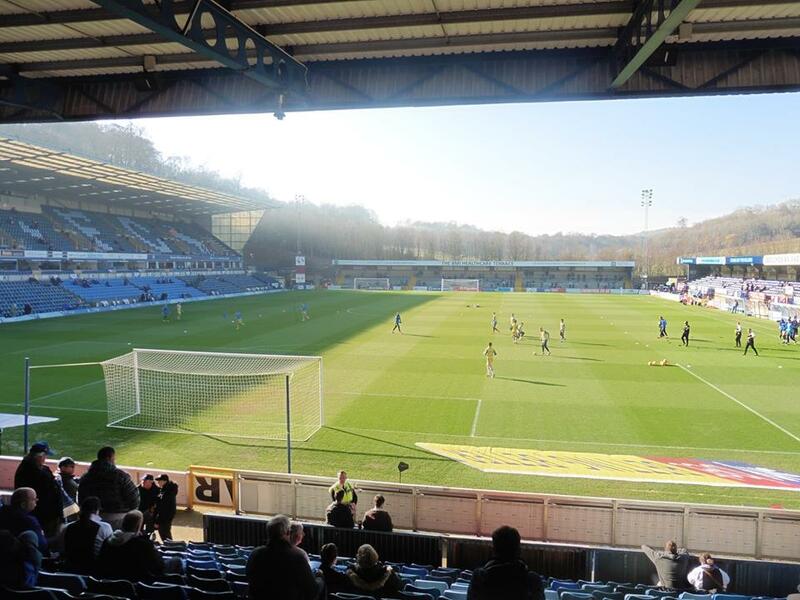 Adams Park is a lovely ground to watch a game of football with nice surroundings. High Wycombe is the nearest station to the ground although it is quite far to walk according to Google Maps. Each time I've been has either been coach or a lift to the ground.